“Death of a Nation,” set to be released nationwide on Aug. 3, had its premiere at the E Street Cinema, and VIPs attending the screening were inspired by the film to comment on the state of the country. 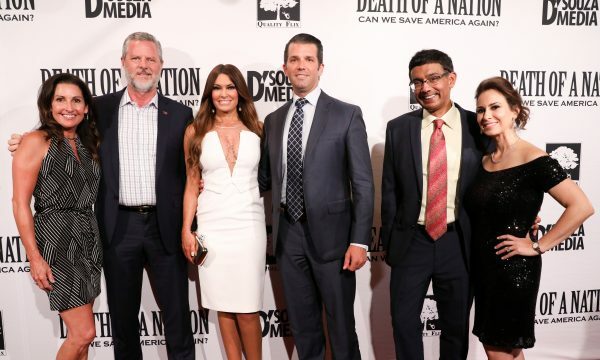 Trump Jr., who was among those who walked the red carpet, said the most striking thing about the movie is that it highlights the similarities between the current Democratic Party platform and that of Adolph Hitler’s party. 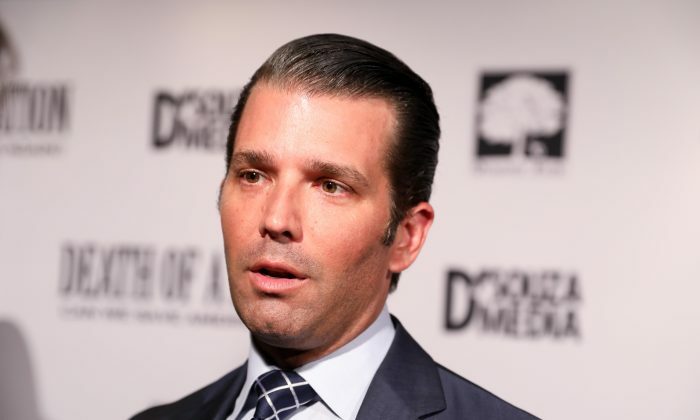 Trump Jr. blamed academia and the mainstream media for wrongly influencing the youth. “When you [watch] the movie, you’ll see that there is a very distinct and clear difference between what actually happened and what is being sold to our youth today,” he said. Born in India, D’Souza came to the United States as an exchange student at age 18. He graduated from Dartmouth College and briefly worked in the Reagan White House as a policy analyst. He has been an author and speaker for most of his career. He has also produced documentaries over the last several years that were critical of the left. “We’re living through a surreal moment in American politics now,” D’Souza told reporters. The film challenges the notion that fascism and Nazism are ideologies of the “right,” rather than the “left.” It also draws parallels between President Donald Trump and President Abraham Lincoln. “But the reality is that the race card and the fascism card were not played by me,” he said. 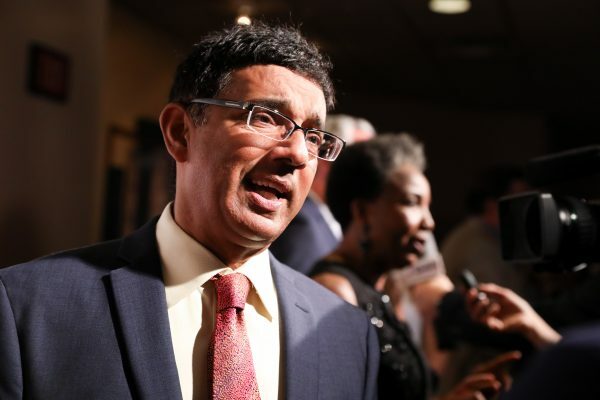 D’Souza said he thinks the most shocking moment in the film is when a group of senior Nazis is shown sitting around a table and drafting the Nuremberg Laws using the Jim Crow laws drafted by Democrats, which enforced racial segregation in the South. In 2014, D’Souza was convicted of violating campaign finance laws. He was given a full pardon on May 31, 2018, by Trump. D’Souza believed his sentence was politically motivated, as the charges followed the release of his 2013 film, “2016: Obama’s America,” which was critical of President Barack Obama. “People just need to look at the facts and read about history,” he said. “Sadly, there are so many kids in school who don’t get that opportunity.” He added that he was concerned about the growing polarization in the country. 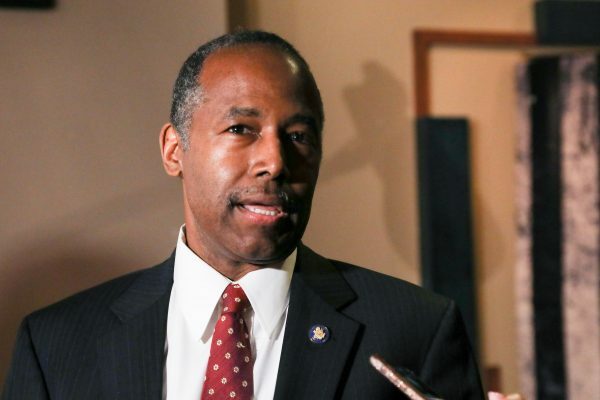 Housing and Urban Development Secretary Ben Carson was among the guests who attended the premiere. 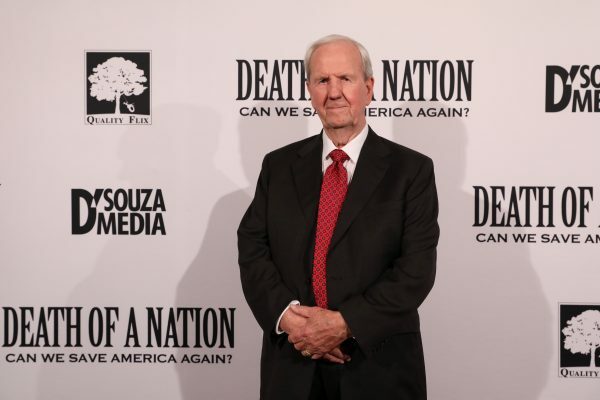 In “Death of a Nation,” D’Souza delves into the history of slavery, showing that the “plantation” system of the early Democratic Party lives on in systems of heavy taxation, government dependence, and identity politics. “The African-American population has been abused by the Democrat Party over the last 40 years,” said Sebastian Gorka, military and intelligence analyst and former deputy assistant to the president. The movie claims the Democratic Party now uses immigrants the same way they used African-Americans. “They are desperate for a new demographic voter base,” Gorka said, adding that Democrats oppose Trump’s demands for voter I.D. requirements and the border wall because they see the illegal migrants as their new voter base. The problem is that most African-Americans will probably not see the film, said Carol Swain, former professor of political science and law at Vanderbilt University. She said the movie could change the minds of African-Americans if they watched the film in large numbers and examined the history of the Democratic Party. She said she sacrificed her own career for a greater mission: to get out the truth and help people dig deeper. Straka said anyone who has questions about liberalism and the history of the Democratic Party would learn a lot from the movie. Straka’s “Walk Away” movement encourages ordinary Americans to upload videos and photos of themselves explaining why they have left the Democratic Party. “I have had a lot of people reach out to me and say, ‘I think I’m starting to get it. I think I’m starting to see what you’re saying,’” Straka told reporters at the premiere.